OK I’m so confused about this weather and what to cook. I’m craving all things pumpkin and hearty Fall dishes and yet, it’s 80 DEGREES outside. So to heck with it, I’m going full blown PSL, embracing what should be Fall and bringing out my best comfort foods. 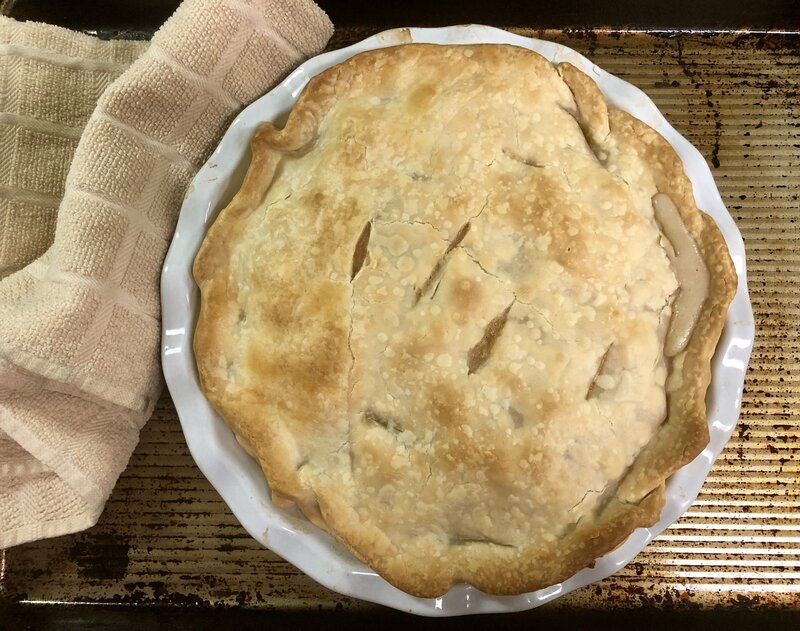 Try to picture a crisp October evening when you read through this irresistible Chicken Pot Pie recipe. 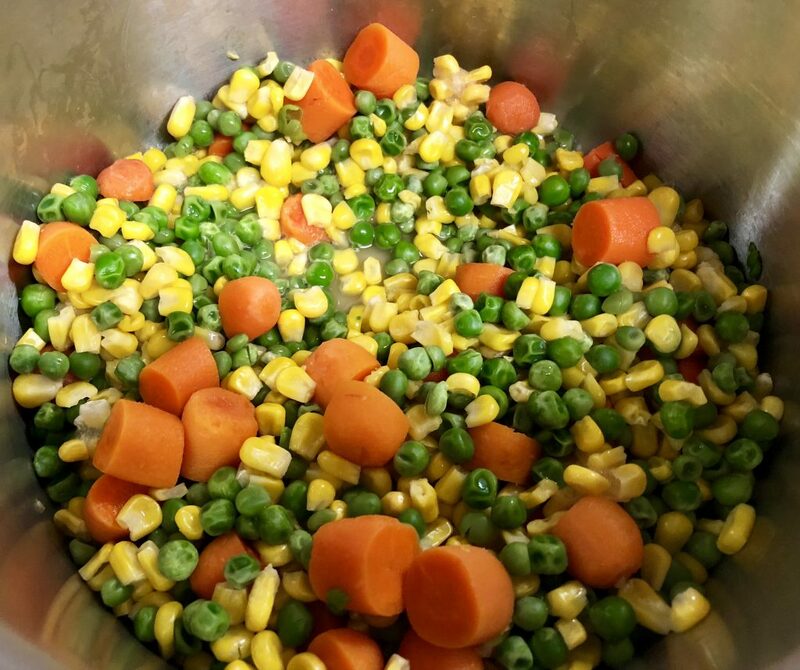 Sauté the peas, corn, and carrots in a saucepan until tender over med-high heat. 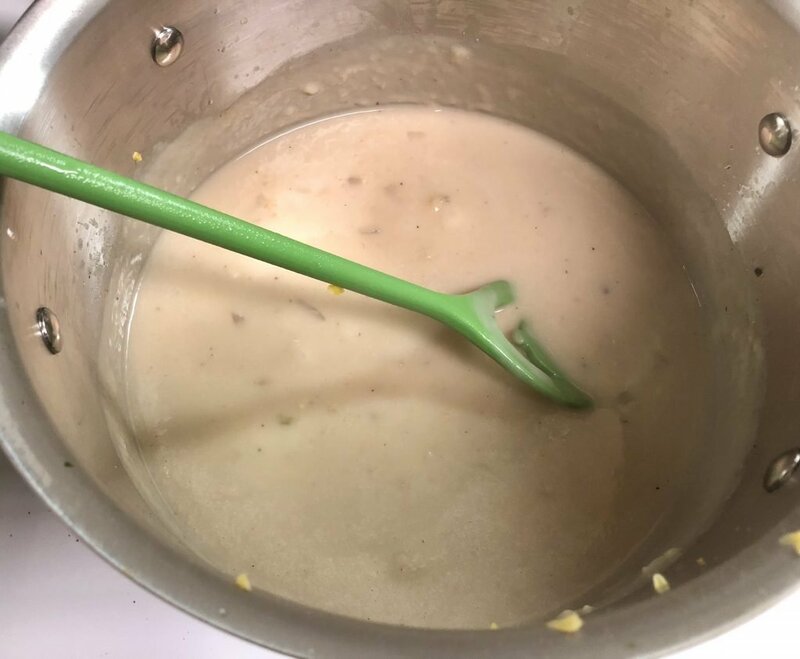 NOTE: If your chicken is raw, add the chicken in with the peas, corn and carrots, cover with water and boil for 15 minutes. If your chicken is cooked, you can just sauté the veggies as planned. 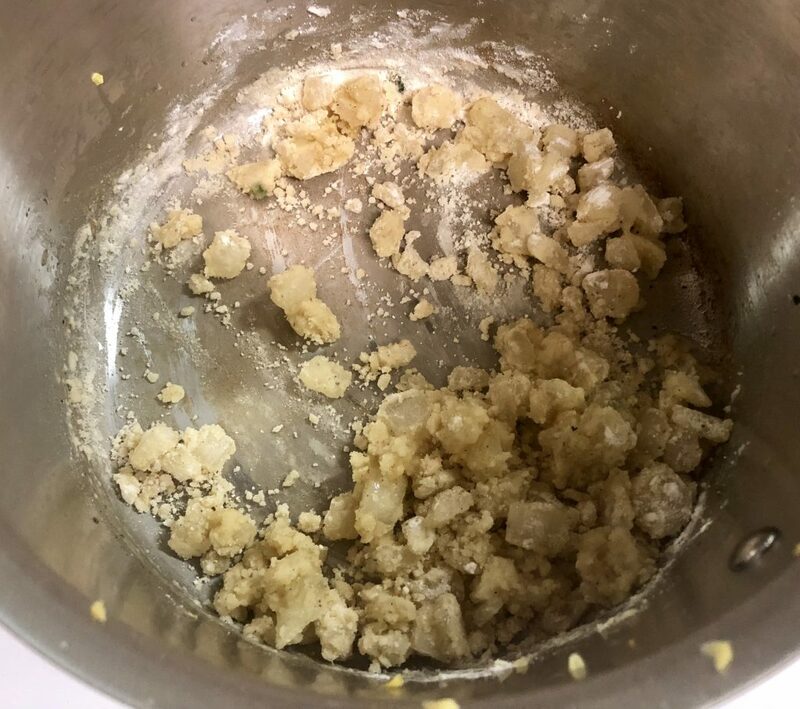 Remove from heat and drain any liquid, Set aside. 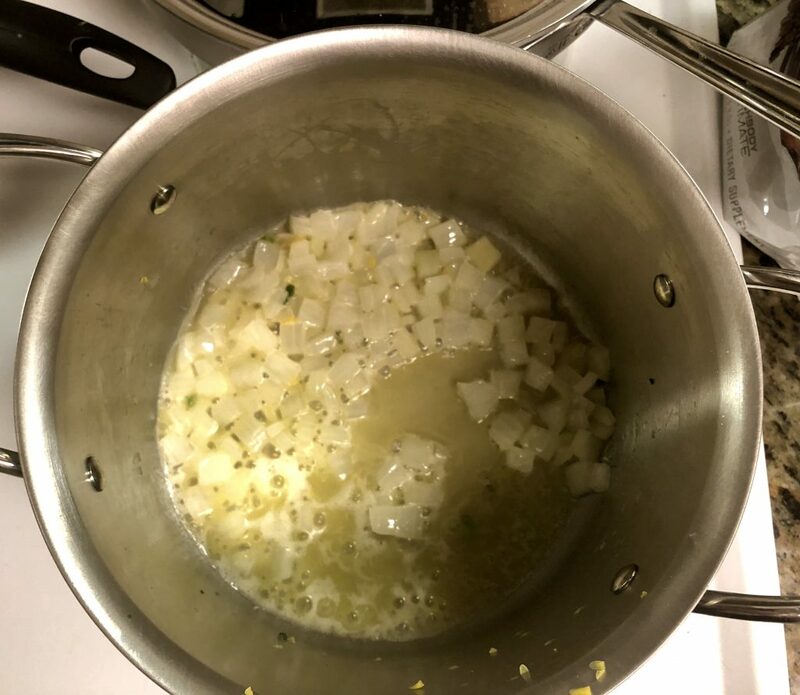 In the same saucepan, melt the butter over medium heat and sauté the onions until fragrant and soft, about 3 minutes. Lower the heat to med-low and add the celery salt, ground pepper, and flour. Then add in the stock and milk and let it simmer over med-low heat until it thickens, stirring occasionally. Preheat the oven to 425 degrees. 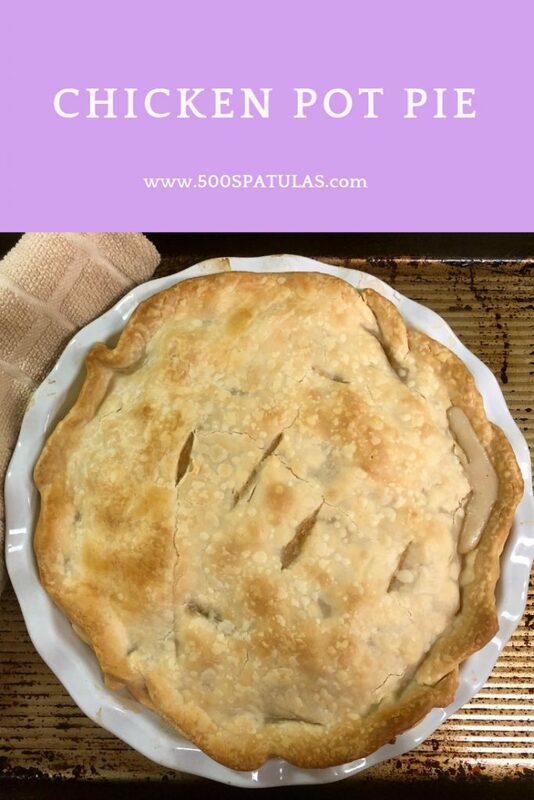 Place the bottom crust into an oven-safe pie plate and add in the cooked veggies and chicken. When the onion mixture has finished thickening, pour it over the veggies/chicken. 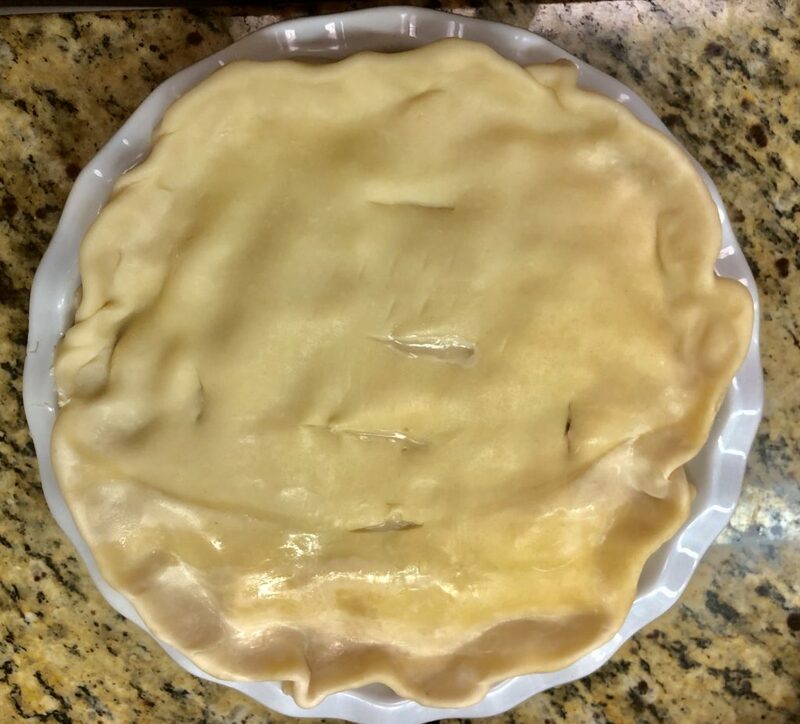 Add the top crust and pinch the bottom and top crust edges together to seal the pie. 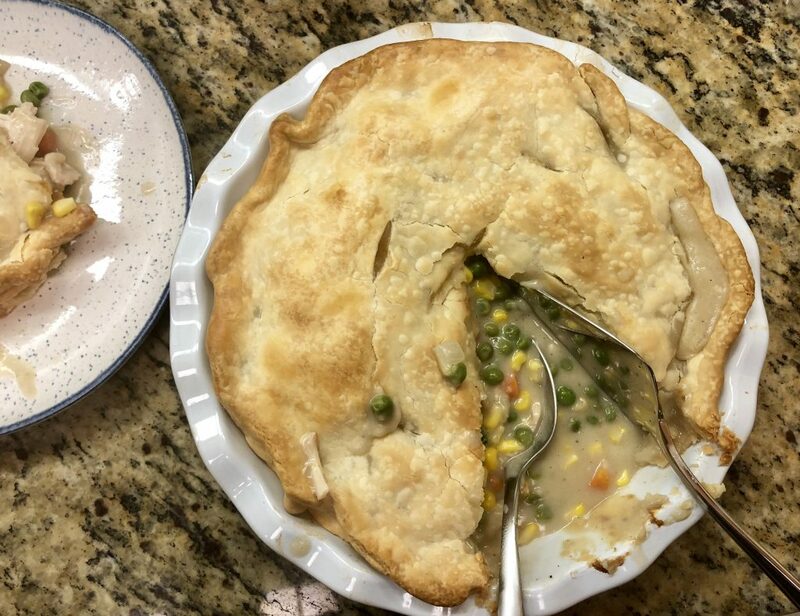 Use a knife to make small slits in the top crust for steam vents. Bake for 35 minutes or until the crust is golden brown. Let cool ten minutes before slicing. 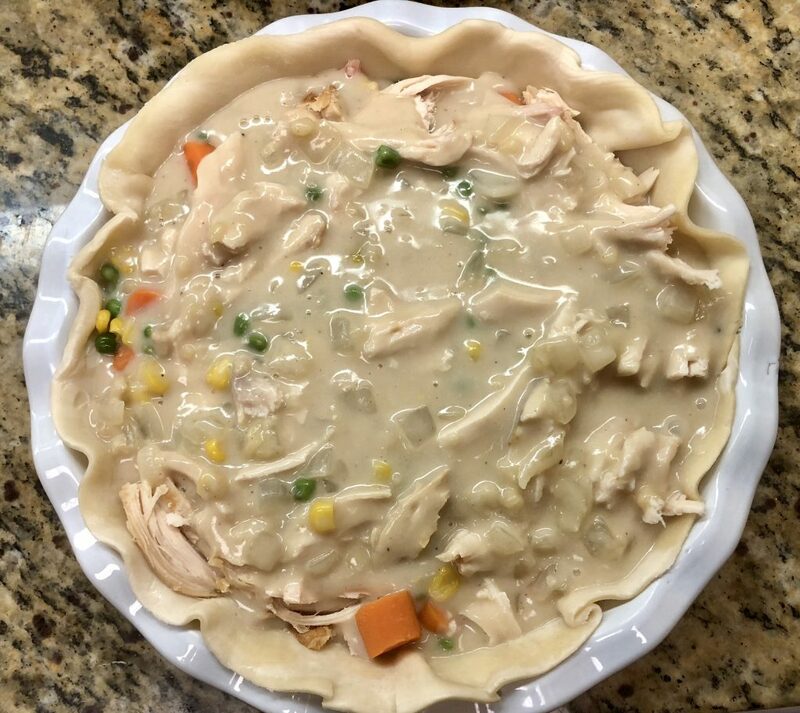 Mmmmmmm There’s just nothing quite as comforting as chicken pot pie. Hope you love it! Saute the peas, corn, and carrots in a saucepan until tender over med-high heat. NOTE: If your chicken is raw, add the chicken in with the peas, corn and carrots, cover with water and boil for 15 minutes. If your chicken is cooked, you can just saute the veggies as planned. Remove from heat and drain any liquid. Set aside. In the same saucepan, melt the butter over medium heat and saute the onions until fragrant and soft, about 3 minutes. Lower the heat to med-low and add the celery salt, ground pepper and flour. Then add in the stock and milk and let it simmer over med-low heat until it thickens, stirring occasionally. Preheat the oven to 425 degrees. 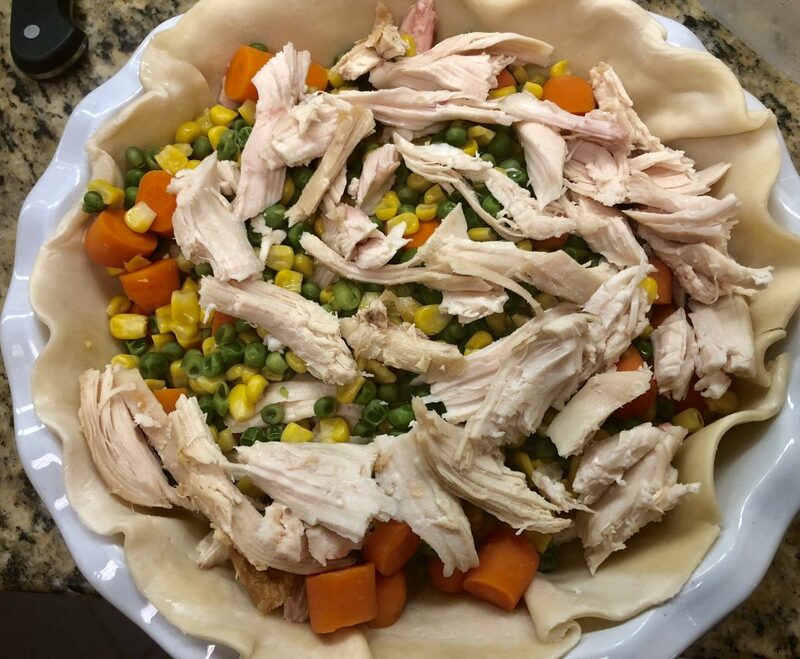 Place the bottom crust into an oven safe pie plate and add in the cooked veggies and chicken. When the onion mixture has finished thickening, pour it over the veggies/chicken. Add the top crust and pinch the bottom and top crust edges together to seal it. 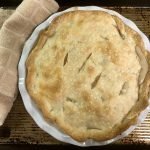 Use a knife to make small slits in the top crust for steam vents, and bake for 35 minutes or until the crust is golden brown.